The first Common Law Court of Record preliminary trial hearing, where the law of the case is international common law , was convened in the Arena on Constitutional Hill, Braamfontein, Johannesburg, South Africa. This is a historic place in that both Mandela and Ghandi were imprisoned here. The new court was re-built in 2003 and elements of the old fort prison was retained and contemporary art from various people of South Africa has been impressively installed. It is open to the public and well worth a sight-see if you are in the area. It was a beautiful sunny autumn day and Constitutional Hill was abuzz with activity as there was a Gender Equality launch in the Fort Prison area as well as an Economic Freedom Fighters march on the SABC for withdrawing an EFF campaigning advert. The EFF people were a peaceful, well behaved group of about 300 and we shared our experiences and information on the Unified Grand Jury ZA (UZA) action. This is the 3rd time in the last year that we Occupied Constitutional Hill without permit or an application! We merely notified the relevant constitutional representatives and enlisted our peace officers from SAPS Hillbrow to uphold the peace. After all, the land belongs to “We, the People”. More than 80 representatives of R.S.A (Pty) Ltd were served with a writ of mandamus, but no agents representing the defendants appeared. Interestingly, a people from the Department of Communications attended who is in full support of UZA and the dissemination of the truth regarding the current fraud and deception. The court was opened with a prayer by Bishop Paul Verryn of the Central Methodist Church, a strong supporter of the People, stretching back to the apartheid era. The court was convened by Brother Thomas, interim adjudicator of UZA and preliminary evidence was presented by the people’s plaintiff and prosecutor, Jan of the Family Lohfeldt, before a Jury of 22, which stood as representatives of we, the people on the land. 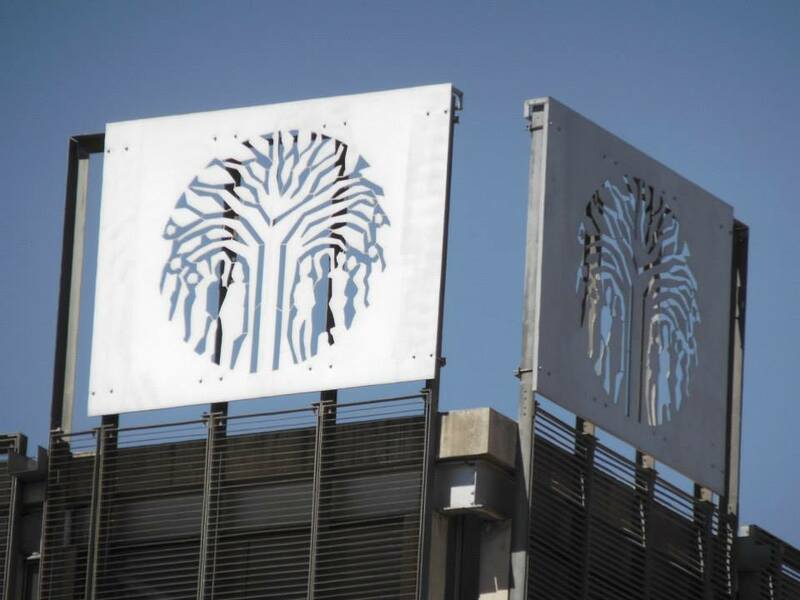 A plea was made to the jury to vote for the institution of a Commission of Inquiry in which key representatives of the REPUBLIC OF SOUTH AFRICA (Pty) Ltd are to be summoned to appear for cross-examination. The jury voted a unanimous yes to institute proceedings. Next week we will proceed to file on R.S.A. (Pty) Ltd through the Public Prosecutor and failing remedy, we will call for the institution of a Commission of the people, by the people and for the people with expert witnesses to verify our findings. Our actions have been procedurally fair as to the promotion of administrative justice and in the spirit of the Bill of Rights. What this essentially would mean for the people is: NO MORE poverty, un-employment, taxes (other than import duties), electricity or other essential services, including the roll out of social, community and environmental upliftment projects managed by the people, for the people. I will not be able to be there today ​since we are in the very final stages of preparing for the elections, ​but please know that you have our full support for the liberation of the people of South Africa from economic slavery and financial tyranny imposed on us all, indiscriminately by a corrupt government. This is a message of support ​from the UBUNTU Party, ​for the VOTE OF NO CONFIDENCE IN THE GOVERNMENT and the rewriting of our laws for the benefit of the people, and NOT corporations – which includes the foundation of a COMMON LAW COURT of the people. We, the people, have appointed the government to act as our servant – to do the best for the people at all times. But our government has failed us dramatically on every level. The South African economy and natural resources have been plundered by greedy international corporations, supported by ignorant politicians, with no remorse or any accountability to its people. We can no longer travel freely in our own land – our roads have been sold to foreign corporations. Our economy has been hijacked by private international banksters who have been granted complete freedom to financially cripple every South African. Their interests are protected by a complex legal system which does NOT serve the people. ​Under the protection of the privately owned RESERVE BANK, our banks have been allowed to create money out of thin air, enslaving us all in debt for life. ​ Under our laws, corporations have more rights than living breathing human beings. The government has turned the people into its slaves.​ Amongst the various points that the UBUNTU Party has proposed in i​ts manifesto is the complete restructuring of the financial systems and our Judiciary. The point of departure is the establishment of a People’s Bank that can issue money for the people, by the people, tax-free and interest-free, creating 100% employment in the process and stimulating every area of our human endeavour imaginable – allowing people the freedom they all deserve and abundance on all levels of our human activity. We wish you a peaceful and fruitful gathering which will help to open the eyes of the media to help spread the knowledge and consiousness to every South African. The Y Vote campaign is facilitated by JJC to provide young people with opportunities to learn more and understand that there is no democracy without the possibility to make an informed choice, and that informed choice is only exercised through voting. JJC working together with different political parties to create political consciousness among young people and to educate on the power each vote carries will host this campaign on; 3rd May 2014 @Wits University from 11h00 am – 14h00 pm. Michael Tellinger from the Ubuntu Liberation Movement and Brother Thomas of the Common Law Jury of Southern Africa, representing “We, the People” will debate with representatives from other political parties. Entertainers Singer-song-writer – Nancy Ginidza and Poet/Rapper – Mac Manaka will spice up the event. Feel free to attend and expect to be educated. 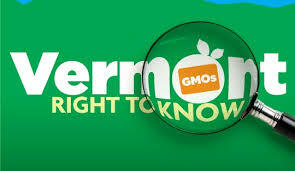 Vermont Passes No-Strings-Attached GMO Labeling Law! Vermont consumers will be the first in the nation to have a clear choice.